Amnesia game series to come to PS4! Yes, finally the word is out: Amnesia game series will be on consoles! Frictional Games, the developer of Amnesia: The Dark Descent, has announced that the acclaimed PC game will come to the PS4, along with its sequel and spinoff (A Machine for Pigs and Justine). The expected date of the release is in November. 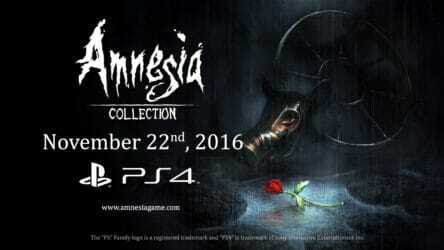 This will be the very first time that Amnesia will appear on consoles. In the past, there were many attempts to bring this famous horror game series to other platforms outside of PC. However, all of them were in vain, either due to plans failing or time constraint. That has kept the game restricted to PC only, and gamers all have to wait for a while. Now the wait is over: on November 22, the Amnesia game series will officially make a debut on PS4. By then, PS4 owners will be able to experience the true terror the games bring. 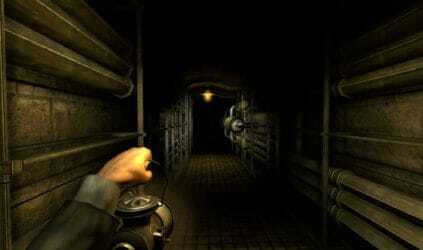 The original game in the series, Dark Descent, was made by Frictional Games, while he second installment was made by studio The Chinese Room, which also developed Dear Esther and Everybody’s gone to the Rapture. All three games in the series are widely praise for their take on the horror genre. The first game was touted as one of, if not the best, horror games ever made, and it is truly frightening. If you want some thrills, try this game with lights out and headphones on! The second game is also not far off, with themes dealing with psychological fear, as well as monsters and gore. The third one, while shorter, will also make you jump your seat. Amnesia game series: Get ready to be terrified on consoles! For now, we do not know the price of the Amnesia Collection, or whether it will be distributed via downloads or physical copies. However, hose details will be announced soon enough. In the mean time, we should brace ourselves, for when Amnesia hit the store, we will have to deal with the scary experience read more.